Should the United States government (federally or through states and territories) restrict (totally or partially) a woman’s right to an abortion? This article is the first round in a debate series on the topic of abortion. Read the opposing argument here. Some preliminary remarks will be necessary to clarify the purpose of this debate. First, the resolution covers the lawfulness of abortion, not the morality of abortion. Surely the law has something to do with morality, but there is a difference between the two, so my opponent and I will have to do some work if we want to proceed from the (im)morality of abortion to its (un)lawfulness. Second, this debate principally concerns the right to coerce—for the state to coerce on behalf of the unborn, for physicians to coerce on behalf of women, and so on. Any advocate of coercion faces a significant justificatory burden. We demand a special justification of those who use force, which we do not demand of those who set about their projects without coercing others. It will not be possible to offer a complete explanation of this burden here, but I will attempt to motivate it in terms that should seem intuitively plausible. Human beings are intrinsically valuable, and this sets them apart from ordinary objects. When I regard some object outside of myself (e.g. wealth) as valuable, it is so only insofar as I regard it as an end worth pursuing, but it has no moral worth apart from its relation to my judgment. Yet, as a person, I am morally valuable in a way distinct from these conditional ends, because I possess a quality which makes judgments of value possible. Objects are only ever conditional ends of contingent value, but persons are ends-in-themselves of objective moral value, precisely because underlying every volition is the necessary acceptance of the inner worth of humanity, the ability of individuals to determine their wills autonomously and through reason. This constitutes the supreme limiting condition on all choice. Since humanity is of objective value, it is not up to my discretion as to whether I ought to honor it. I owe persons respect simply because they are persons, and it is for this reason that I am obligated always to treat humanity, (in myself or in others, ) as an end-in-itself, and never as mere means to be used or disposed of in the pursuit of some subjective end. It is clear, then, why coercion faces such a high burden of justification: I am not entitled to treat others as objects to be forcibly manipulated, since this is inconsistent with their value as persons. 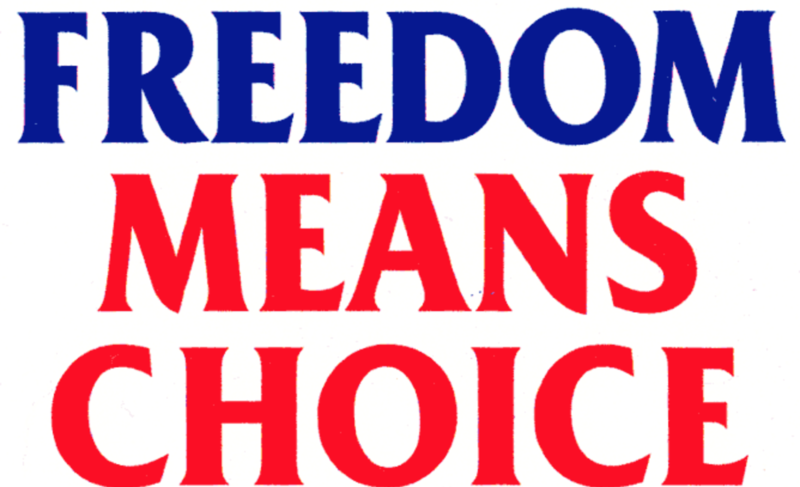 I must accept their freedom in choosing to pursue their own conception of the good, and I am entitled to do the same. So we are all reciprocally constrained in our choices by the limits that our right to freedom imposes on one another. If our first right is to freedom, and if this is a constraint on how we may treat one another, then any right to use coercion must have freedom as its justification. Specifying all the conditions required for the justification of coercion is beyond the scope of this debate, but in a civil society it should be recognized that the proper place of coercion is in the defense of the rightful freedom of persons, since it is here consistent with the promotion of humanity as an objective value. I am entitled to make choices about the use of objects in the external world, (including my own body), and this entitlement constrains others not to abuse me (in my rightful possessions) as an instrument for their purposes. When the actions of another violate my sphere of freedom and infringe upon my rights, then I am authorized to employ coercion to secure my rights. Since the first right of humanity is that of freedom, and since freedom is first actualized in one’s determination of the use of one’s own body, therefore the right to bodily autonomy is our most immediate entitlement, and the violation of this right is the clearest authorization for the use of coercion. A mother has a right to determine the use of her body insofar as this is compatible with the equal freedom of self-determination of all others. As the fetus, (being in the body of the mother against her will, ) violates this right of self-determination, the mother is authorized to coercively remove the fetus from her body. Now, for the sake of argument, we may grant that the fetus is a person with rights. Yet recall that the supreme limiting condition on rightful choice is the value of humanity, where humanity is the capacity for rational self-determination. The mother’s self-determination (with respect to the use of her body) is in the first place compatible with the equal right of the fetus, since the mother in no way disrespects the fetus’s humanity by being pregnant. Yet the fetus, in as much as it is present in the body of the mother against her wish, infringes upon her right to unilaterally determine the use of her body. Our judgment here does not require us to say that the humanity of the mother is “more important” than that of the fetus, but only that, in pregnancy, the mother alone is authorized to use coercion, since only her self-determination, (with respect to her own body,) is originally violated. In exercising her right to her own body, the mother certainly harms the interests of the fetus, but she does not violate its rights, since the fetus’s existence was never fully rightful, being parasitic upon the use what was another’s by right (that is, the body of the mother). No doubt this account suffers from further complicating issues which have yet to be addressed, and I’m sure my opponent will raise them in his reply. I would warn, though, that any argument must appeal to the value of self-determination, so an explanation of why a woman would be obliged to allow her body to be used by another must be consistent with her innate right of freedom, not with some independent value (e.g. life) extraneous to her own will.